According to the Mayo Clinic, 19.5 million Americans use illegal drugs. More than 17 million Americans are addicted to alcohol. Many of these individuals are physically and mentally addicted to their drug of choice, and will suffer withdrawal symptoms if they stop using cold turkey. However, the dangers of drug abuse far outweigh the benefits. Alcohol and drug detox programs exist to help people kick their addictions without risking their health. Cold turkey withdrawal is dangerous for a variety of reasons. Mental health issues, breathing difficulties, or seizures can occur when an addict abruptly stops using alcohol or illegal drugs. If you or a loved one is addicted to drugs or alcohol, it is far better to detox under a doctor’s supervision. 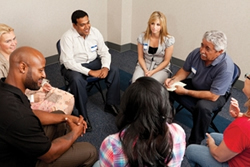 Alcohol and drug detox programs use medication, counseling, and careful monitoring to help people break their addictions. When an addict enrolls in this type of program, they dramatically reduce their risk of negative health consequences from withdrawal, and they dramatically increase their chances of success at breaking their addiction. What Happens After Drug Detox? The physical act of drug or alcohol withdrawal is completed in a detox program. However, the individual will likely need further counseling and monitoring to help them stay clean. Rehabilitation programs act as a bridge between detox programs and society, and allow addicts to learn necessary life skills, attend therapy, and learn to live a sober life. If you or someone you know is addicted to a legal or illegal substance, alcohol or drug detox can help. 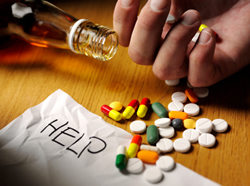 Drugs and alcohol can impair functioning and decrease quality of life significantly. If you or your loved one are having trouble coping day to day without using a drug or consuming alcohol, contact us (866) 531-4569 today.